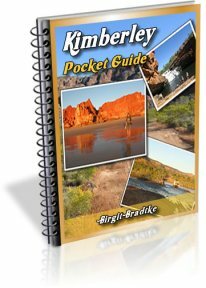 We are planning a trip to the Kimberley in late June till early July this year. This is what we have got planned so far. Arrive to Broome on midday Saturday, stay in Broome till Monday morning. Monday Morning drive to Cape Leveque, stay at Kooljaman Resort Monday and Tuesday night. Wednesday morning drive to Derby, visit Middle Lagoon on the way. 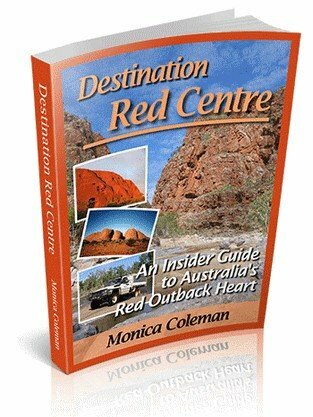 Thursday morning, drive to Windjana Gorge, also visit Tunnel Creek. Stay at Windjana Gorge on Thursday night. Friday morning visit Lennard Gorge, then go to Bell Gorge. Stay at Bell Gorge on Friday night. Saturday mid morning drive to the Mornington Wilderness Camp. Stay here on Saturday and Sunday night. Monday morning drive to Adcock and Galvans gorge, and then to Manning Gorge. Stay at Manning Gorge Monday night. Friday morning drive to El Questro. Stay at El Questro Friday and Saturday night. Sunday morning drive to Bungles. Stay at Bungles Sunday night. Early afternoon on Monday drive to Kununurra. 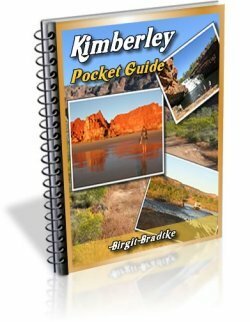 I recently purchased your Kimberley guide and have found it extremely useful in helping me plan the trip. I've read your guide a number of times already, and although you have clearly indicated how long it takes to get to places I still am unsure about if I'm fitting too much into my schedule or if I have it about right. Your assistance would be much appreciated. Thanks so much for the great site. I would spend Wednesday night in Derby and take the opportunity to restock. Fresh food will be very scarce until you get to Kununurra. You asked if a full two days is too long for the Mitchell Falls. Well, I wouldn't say it's too long, but it isn't necessarily required. One full day gives you plenty of time to wander down to the falls and back. You would likely only spend a second day up there if you wanted to venture down to Surveyors Pool. Or you might go back to the King Edward River Camp and explore along the river there. Some people do spend longer at the main falls. They walk down twice, but on the second day not all the way and instead spend the day at one of the other falls or pools... See the reader submission Garden of Eden for example. For you I would suggest spending that extra night in the Bungles instead. I think one night in the Bungles is nowhere near enough, since the days on either side of it will mostly be taken up with driving already. Thanks a lot for your kind words about my guide. Need to slow it down a little. I think you are trying to cover a little too much in the time you have. The Kimberley's cover an area nearly twice the size of Victoria. I would drop something major off to make the rest a bit more relaxed. (Maybe Cape Leveque). I agree with the other comment, swap time at Mitchell Falls for more time at the Bungles. You are going to see some great places, have fun! Thanks, Steve, for making me re-read the itinerary! I did misread something the first time round. I thought the reader wanted to spend two nights at Manning Gorge (I misread the Monday/Tuesday wording, dunno why, as it's quite clear...). That one day would be very long. (I've done this myself. It's possible, just not really recommended). Cramming three gorges in one day also means that we don't appreciate them as much as we would otherwise. I'd suggest to drop either Adcock or Galvans or both. Well, or see how it goes timewise. I'd want at least a full afternoon at Manning Gorge. It's a long walk and a large gorge to explore. It all looks very reasonable to me. Sure, having more time to spend would be fantastic, no doubts about that. But to most readers seeing as much as possible takes priority over chilling out. In fact, most people try to cram in a LOT more than that. Thanks again for pointing me at my error, and also for pointing out that even this is still a busy itinerary. As per your advice we have dropped the extra night at Mitchell Falls and are spending an extra night down at the Bungles. The three gorges in the one day did look a bit much to me also so we'll definately instead just see one or two of them instead on that day. Thanks for the advice, keep the suggestions coming! Skip Middle Lagoon - with no disrespect to anyone it's a little dull, and with only 17 days you could invest your time better. At Cape Leveque, make sure you do the drive to Hunter Creek from Kooljaman (best at high tide! ), and the scenic flight from the little airstip here out over the Bucanneer Archipelago is awesome and a bargain price. Consider spending a full day at Bell Gorge - like many Kimberley gorges, a more casual and relaxed explore is far more rewarding, and a whole day will allow you time to explore down river and really get a feel for this special place. here), but Adcock may be a little disappointing compared to others. Manning Gorge is great too, and a day here is easily filled, especially as it takes about 45 minutes to walk to the falls from the camping area, and if you skip around to the right just before the final descent (or climb the falls) the area above is a string of pools usually devoid of people where you can feel like a bit of an early explorer alone in the Kimberley. the falls around 8am at that time of year by the way. 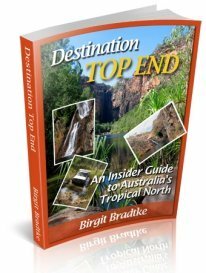 I agree with B and others on less time at places like Mitchell Falls and El Questro...to give you an extra day at the Bungles or elsewhere. Barnett River Gorge - it's understated but a really cool place, especially with an overnight camp. Keep River NP is a brilliant little place just 50km from Kununurra, well worth a day and night. Whatever itinerary you decide, have a great trip - you can't go wrong with the GRR! I'm sure it will hook you enough for a return visit some day, so whatever you miss this time you can catch next visit! Best advice is not to rush things or you end up with a shallower experience: best to spend more time in less places if you can. Good luck! One thing I need to point out, unfortunately. Camping is not allowed any more at Barnett Gorge.